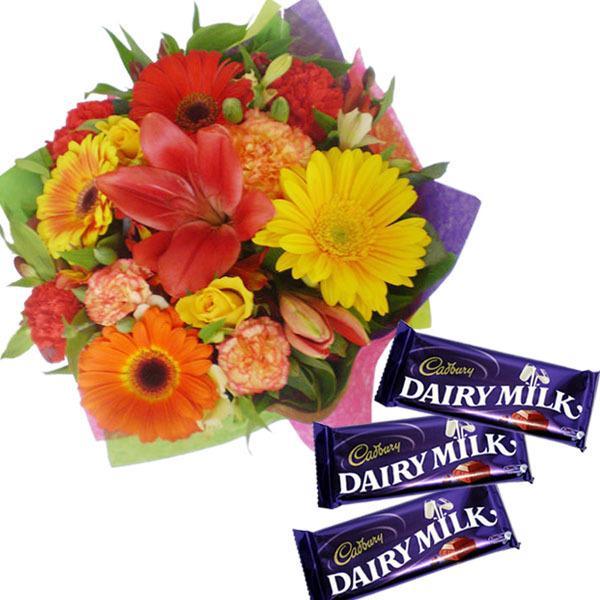 Simple and Tidy to treat your love one with Dairy Milk Chocolates with Fresh 15 Mix flower like Gerberas, Carnation, Roses and Lilies bouquet. 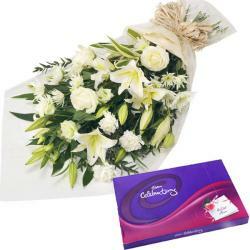 These Flowers gives re-freshmen to whom you gifted. 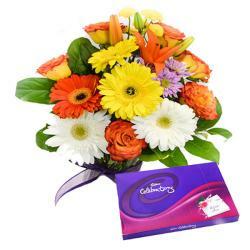 Flowers are the symbol of happiness life. 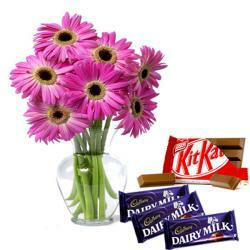 Treat him or her with the favorable chocolate like Cadbury dairy milk (Weight: 34 gms each). The Combo can be gifted in many more occasion as like birthday , Wedding ceremony , Promotion , Engagement , Fathers Day , Mothers day , Friendship Day and festival like Rakhi , Diwali , Pongal , Onam , Christmas , etc.